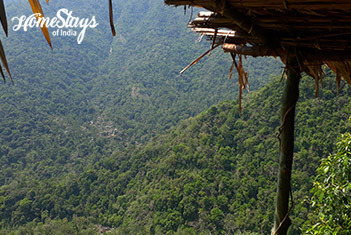 Nongriat is an untouched paradise in the East Khasi Hills of Meghalaya. 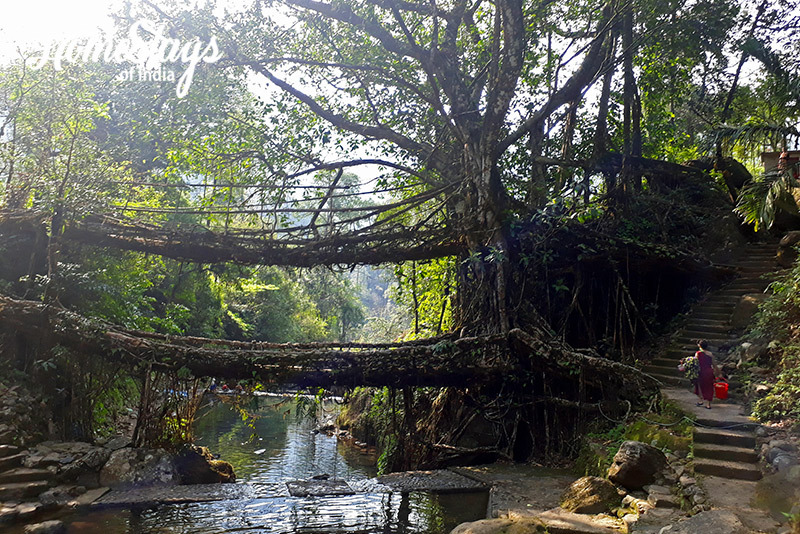 It is known for its living root bridges, especially the Umshiang Double-Decker Living Root Bridge which is created by nature and crafted by Khasi tribe. The aerial roots of Ficus trees are intertwined and woven together to create this wonder. One has to walk down a trail of around 5kms (around 3500 steps) to reach the village. The hike starts from Tyrna village. Some people trek down, visit the double-decker bridge and return the same day. 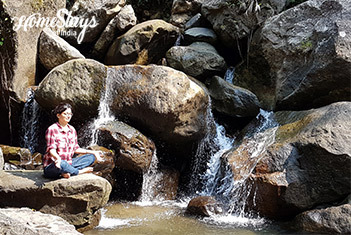 But if you want to feel the place, hear the roaring of river Umshiang, listen to the silence of nature while fire flies dance over you, you must stay at Nongriat and visit another wonder Rainbow falls next morning. There are many lagoons on the way where you can take your morning dip. 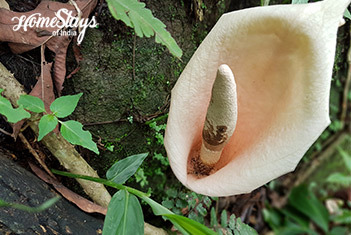 Go Nongriat to experience the raw nature that is so untouched by artificiality. Ours is the best located home-stay in Nongriat just adjacent to more than 180 yrs old Umshiang Double-Decker Living Root Bridge. You need to cross the bridge to reach our homestay. It is a community run place and the income generated is invested back in developing and maintaining the root bridges and the village. 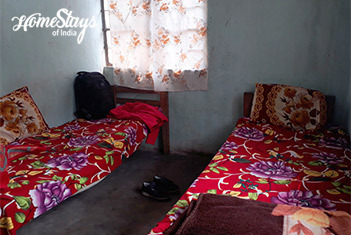 There are 4 double bedded rooms with attached Indian style toilets and a common area for dining. The trek to Rainbow Falls starts from just outside the homestay. The homestay is hosted by Chally and Lakrida, simple cheerful locals. Chally is a very warm person, passionate about nature and her village. 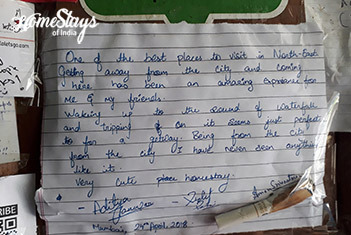 They will not hesitate to go out of his way to make sure you have a safe and comfortable stay here. Simple home cooked local food is served. Porridge, Bread Omelets, Maggie are a few options for breakfast. Rice, dal, vegetables and salad are served in dinner. Non-veg can be prepared on request.